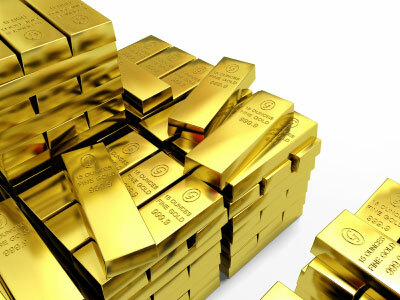 The World Gold Council reports that demand in Asia remains high for Gold. This was seen in Q-2 where total Global Gold demand measured 919.8 tons, almost a record demand at US$44.5-B. The Top markets were India and China, accounting for 52% of the total Bar and Coin investment and 55% of Global jewellery demand. The Gold council is also calling for demand to be high 2-H of Y 2011. An SUV — and its driver — tumbled into a sinkhole and flipped upside down early Saturday on the Northwest Side. The incident happened at about 5:30 a.m. at the intersection of Foster and Elston in Jefferson Park, officials said. The driver was able to crawl out of the car and the sinkhole. He was treated for minor injuries at a local hospital, police said. The hole was caused by a burst water pipe, city officials said. The car, an Acura SUV, was removed from the hole, which is about 12 feet deep and 20 feet wide. The intersection will remain closed through Sunday. Libyan leader Muammar Gaddafi has been captured and is being held, the International Criminal Court (ICC) has announced. Earlier a spokesman for the Libyan government said on state television that Gaddafi, the country’s leader for 41 years, had asked NATO to convince the rebel forces to halt their attack on Tripoli. He said the leader was prepared to negotiate directly with the head of the rebel National Transitional Council. Around 1300 people have been killed in fighting in Tripoli. Because the stealthy take over of Libya by its rebel forces is matched only by the stealth soaring of silver in the last two days. We wonder how long until the perfectly normal and completely SEC-uninvestigated May 1 silver sledgehammer formation repeats again, and when will we see another 5 silver margin hikes in the san of a few days?